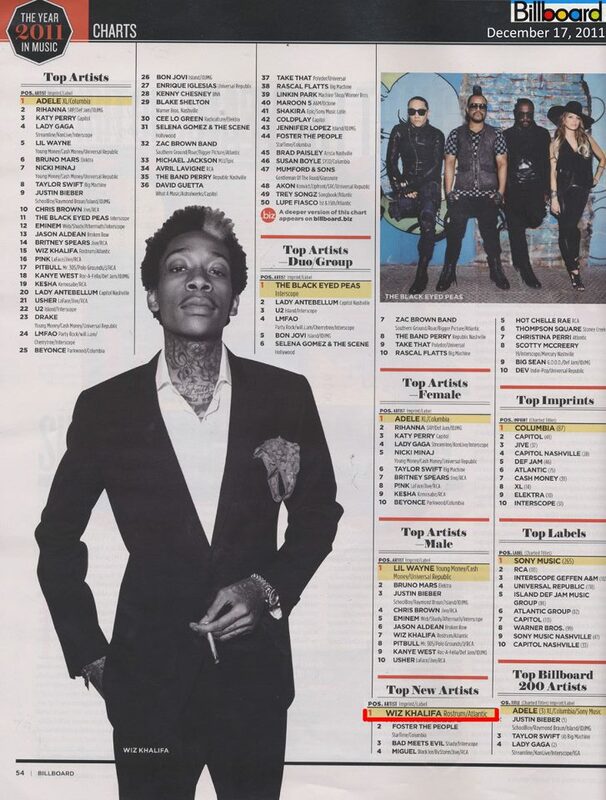 If you’re a Wiz Khalifa fan, you might want to put one in the air to celebrate this platinum rapper being named Billboard magazine’s 2011 “Top New Artist.” Billboard: The Juice recently chatted with Wiz Khalifa about his No. 1 – early 2011′s “Black and Yellow.” “Just to know that we can accomplish something like that with something that I made up in my head, feels great,” said Khalifa. Khalifa’s new mixtape Taylor Allderdice will be out soon. Atlantic/Rostrum rapper Wiz Khalifa was recently spotted performing in Philadelphia with Snoop Dogg, to promote their new collaborative film Mac And Devin Go To High School and accompanying album, which includes 13 songs. 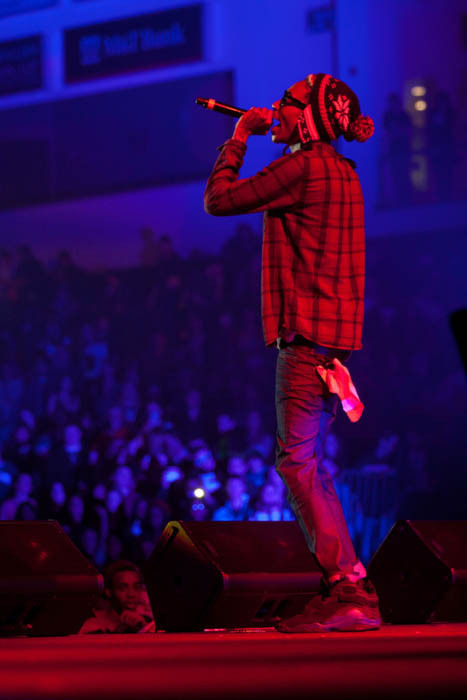 During his set, Khalifa was rocking a pair of “Aqua” Air Jordan 8 (OG). 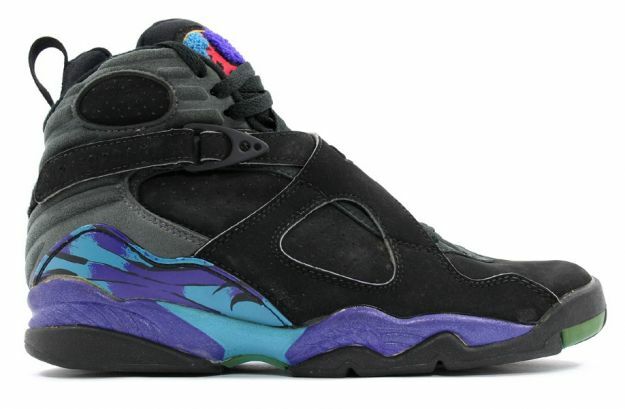 These sneakers were original released in February, 1993. They feature an all black upper constructed from durabuck, along with anti-inversion cross straps, poly carbonate torsion plate, air sole, and an inner sock similar to the Nike Air Huarache. 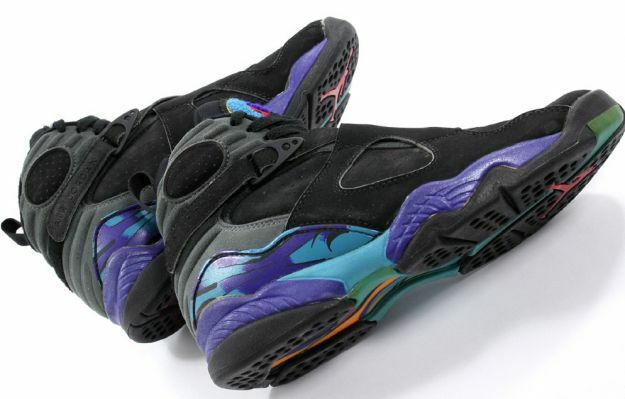 They also feature aqua and purple highlights on the bottom of the she, as well as on the infamous logo on the tongue. In a recent Ustream session Khalifa announced his sophomore album title O.N.I.F.C. without explaining further what the acronym means. This will be the follow-up to Khalifa’s debut LP Rolling Papers, which debuted at #2 on the US Billboard 200 chart, with first-week sales of 197,000 copies. The disc sold over 600,000 copies since being released. 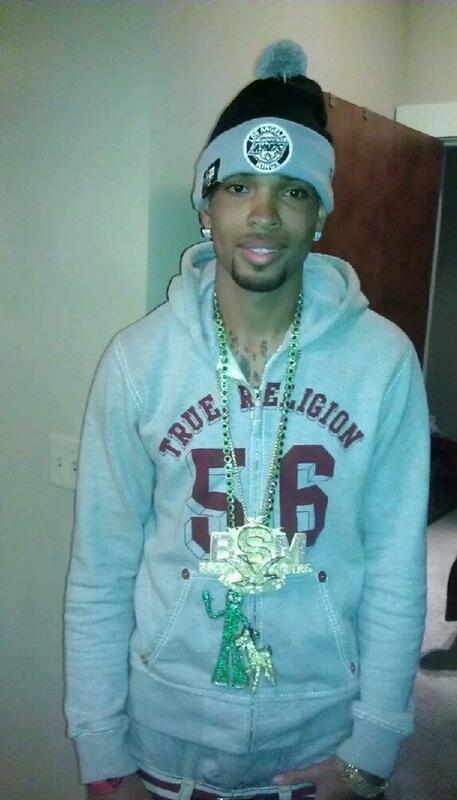 Slim Dunkin, whose real name is Mario Hamilton, was transported to Grady Memorial Hospital, where he died. The incident happened in the 1000 block of Memorial Drive. Investigators said the rapper was at the studio to shoot a music video. “Now it’s my understanding prior to the video shoot, Mr. Hamilton became involved in a verbal altercation with another individual who we believe produced a handgun, discharged that weapon at least one time, striking Mr. Hamilton in the chest,” Atlanta police Maj. Keith Meadows told Channel 2. Police said they do not know what the argument was about and the shooter has not been identified. Meadows said 13 to 20 people were in the building when the shooting occurred around 5:30 p.m. Witnesses have been questioned and the investigation is continuing. YoDonBleekRaps and Billion Dollah Nation would like to send our deepest prayers and condolences out to the family and friends of Slim Dunkin. God bless you all and understand that God is the answer to all of our prayers.